Well, it's another week closer to Spring and man I cant wait for this to arrive, its a miracle that I'm still braaiing every week with the weather we’ve had and it gets dark at 4.00pm. 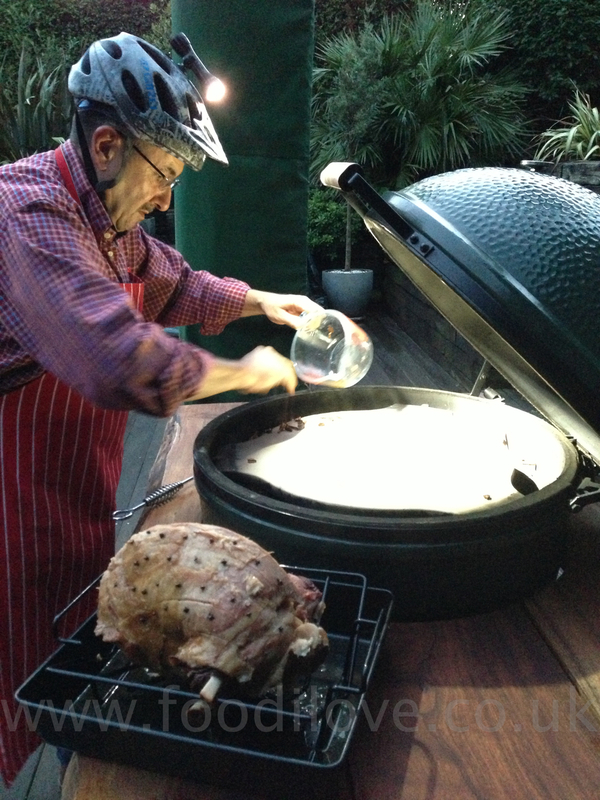 You can check me out braaiing with my cycling helmet on and light to see what the hell I'm doing lol. Guess what, it's now going to snow as well this week, so it will be interesting to see how the BGE works when it arrives. 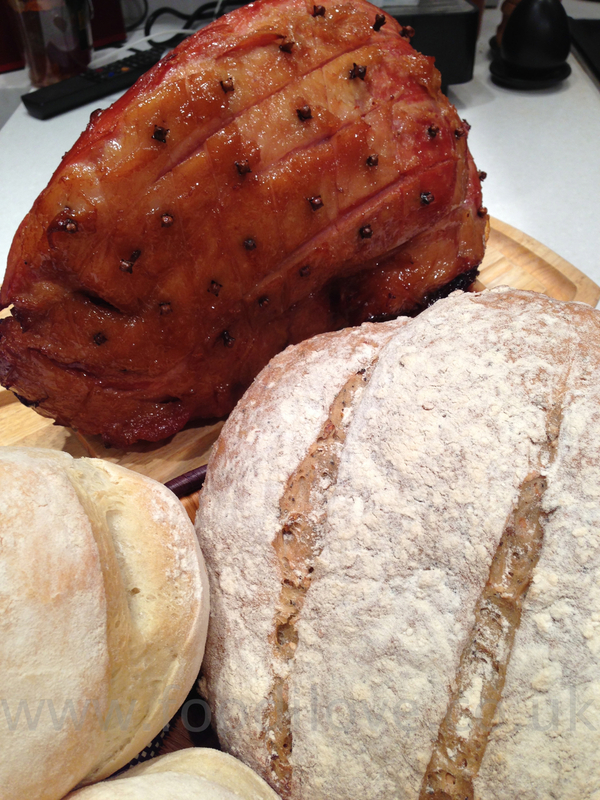 This week I've cooked a leg of pork, to be precise its a smoked ham which I am going to smoke again. I've cheated a bit because I made this at the same time that I made the bread that I blogged about last week. Trust me, when I say these two together were just a match made in Heaven or Hell depending on wether you like or eat pork. So lets get on with it. 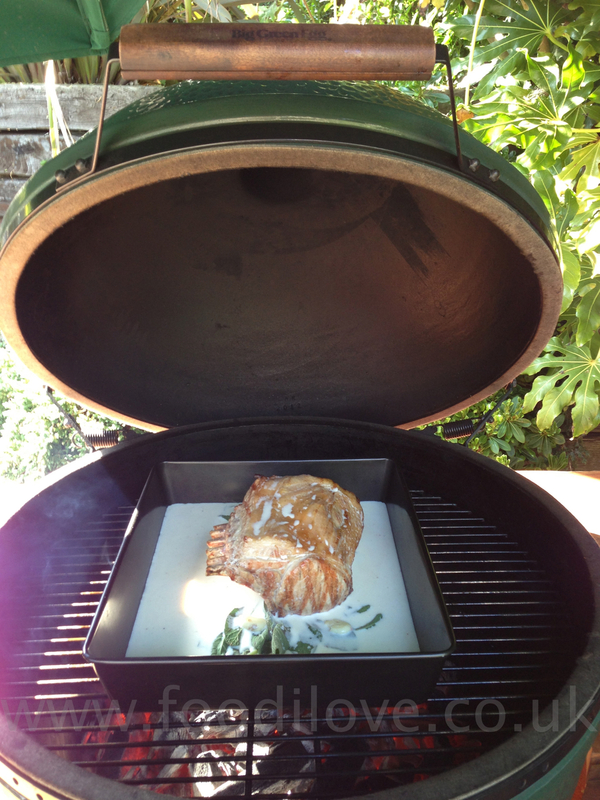 Preheat the Braai/BigGreenEgg to 200ºF/94ºC. 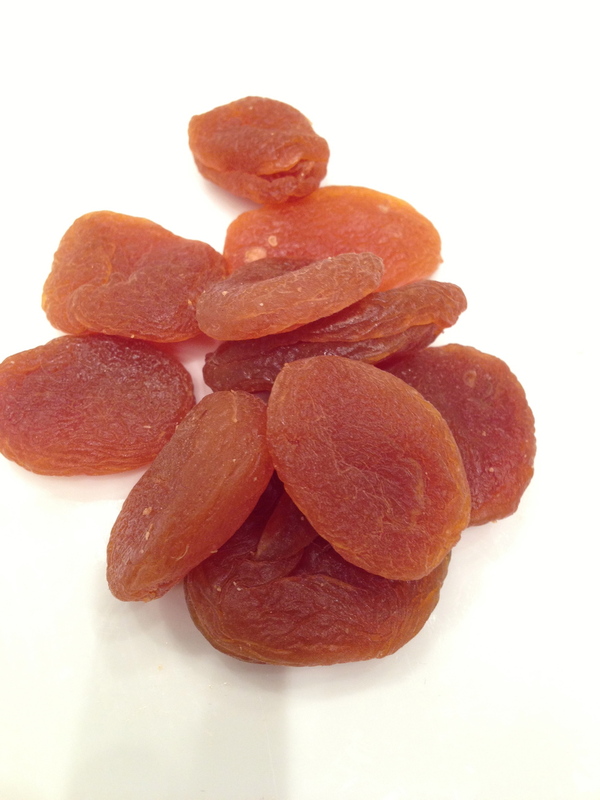 Place the hickory chips in a small bowl, cover with water and let soak for at least 1 hour. 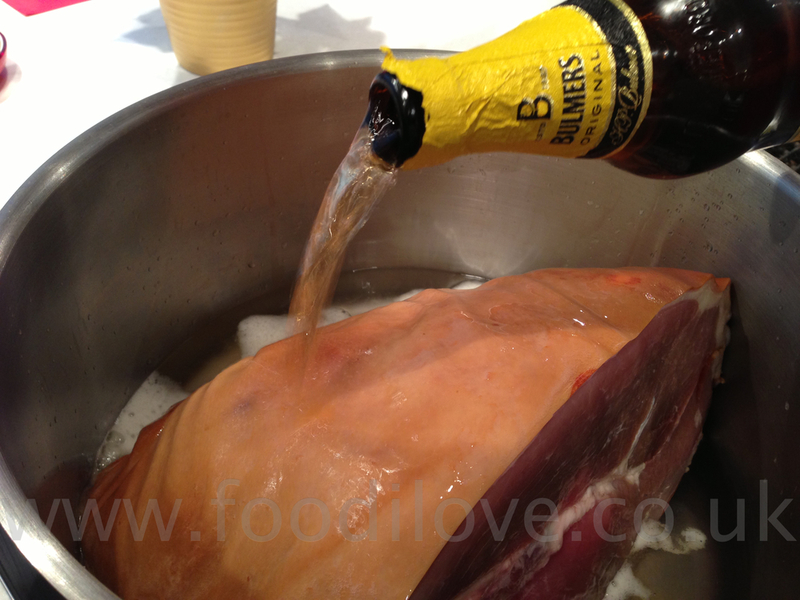 Take the ham and place it in a very large saucepan and poor the cider and water over it. 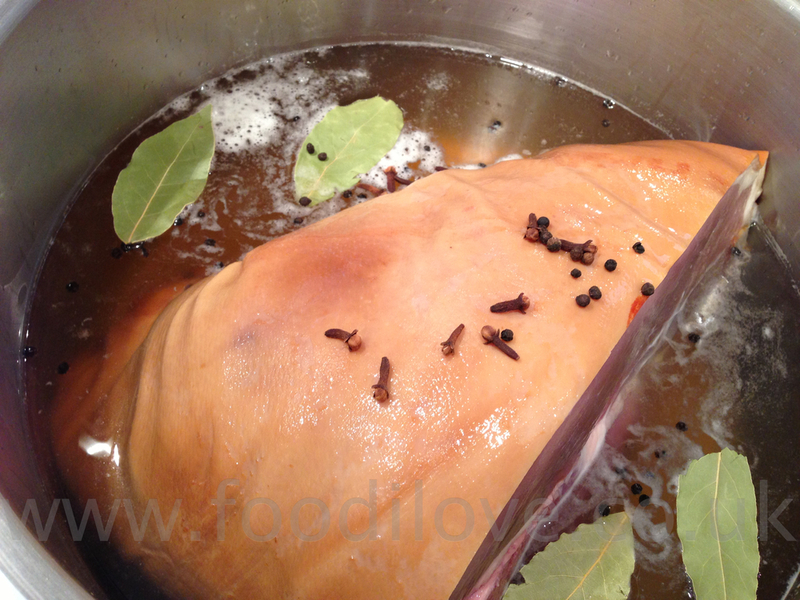 Add the Bay Leaves and cloves cover and bring to the boil. Leave this to simmer for 2 – 3 hr making sure that you turn it every 30 mins. 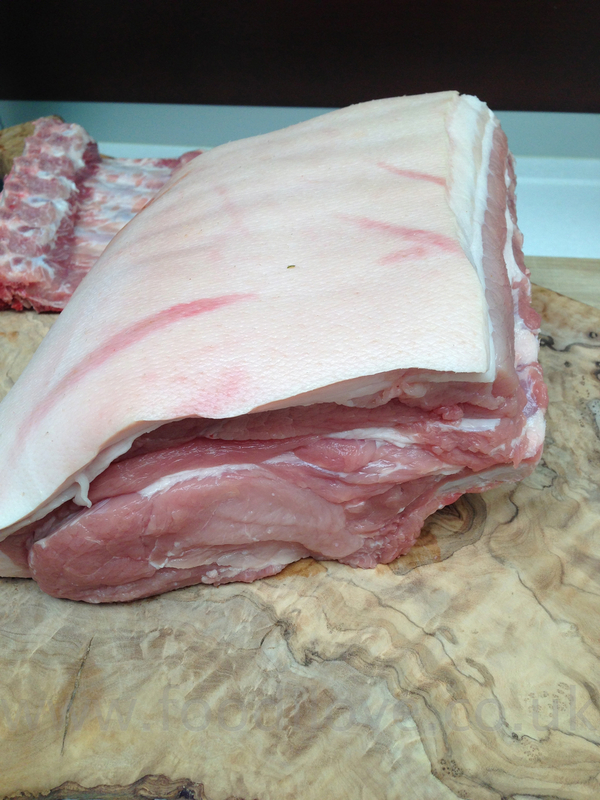 This helps the salt to be drawn out from the smoked ham. 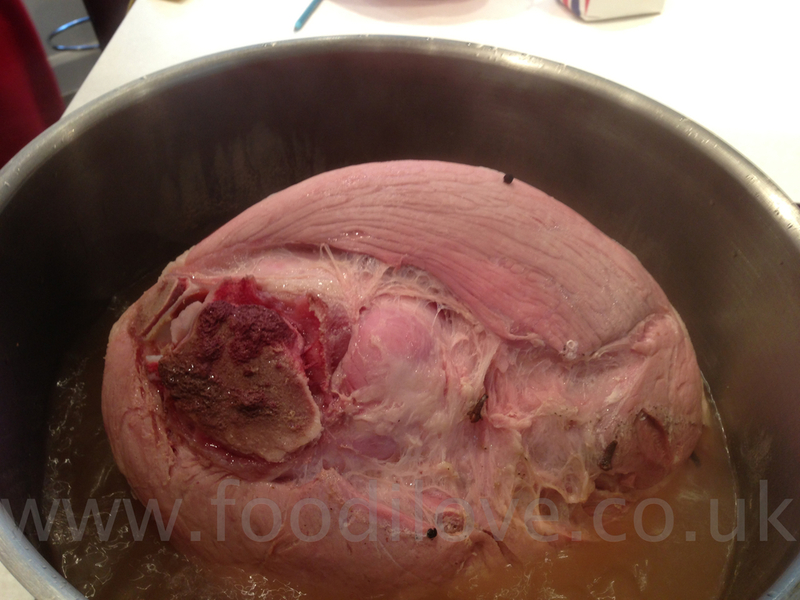 Once its been cooking for 3hrs take it out and peel of the skin of the ham, this would not be great to eat anyway, so through it away. 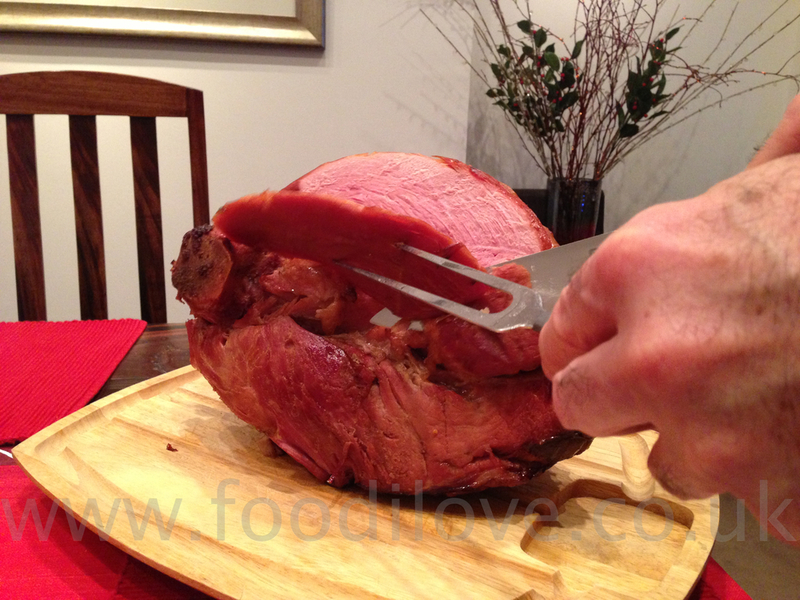 Score the ham in a diamond pattern with a sharp knife, ready for the next stage. Mix the Maple syrup and Bourbon together and brush over the ham. 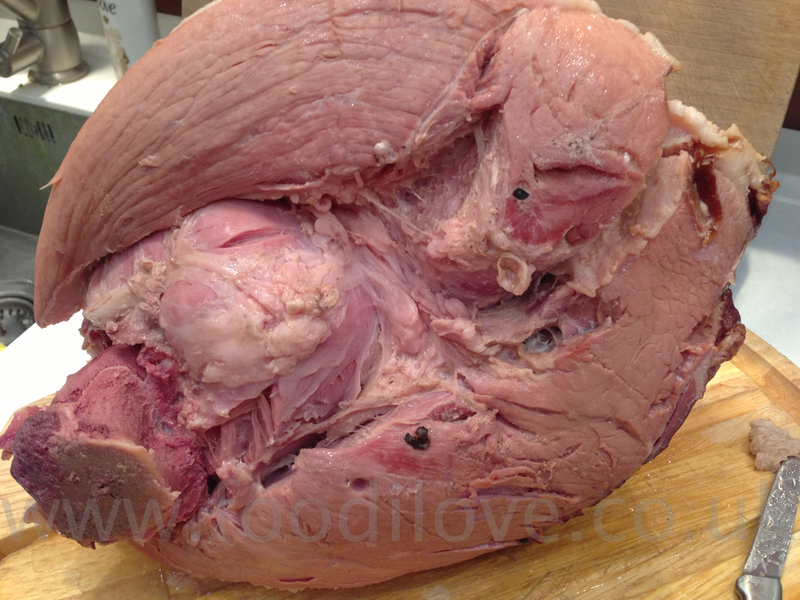 Take the cloves and push into the ham in the middle of each diamond. 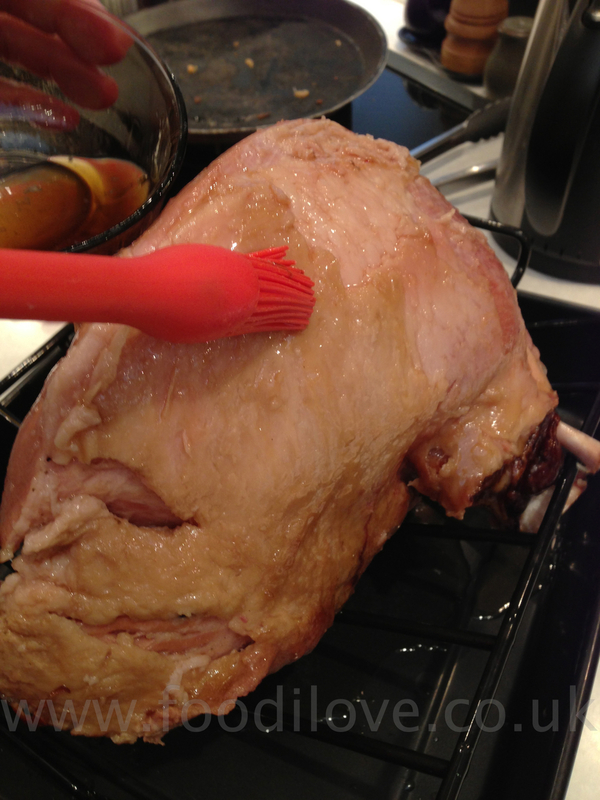 Brush the ham again with the mix and do so continually during the smoking so that it keeps the ham moist. 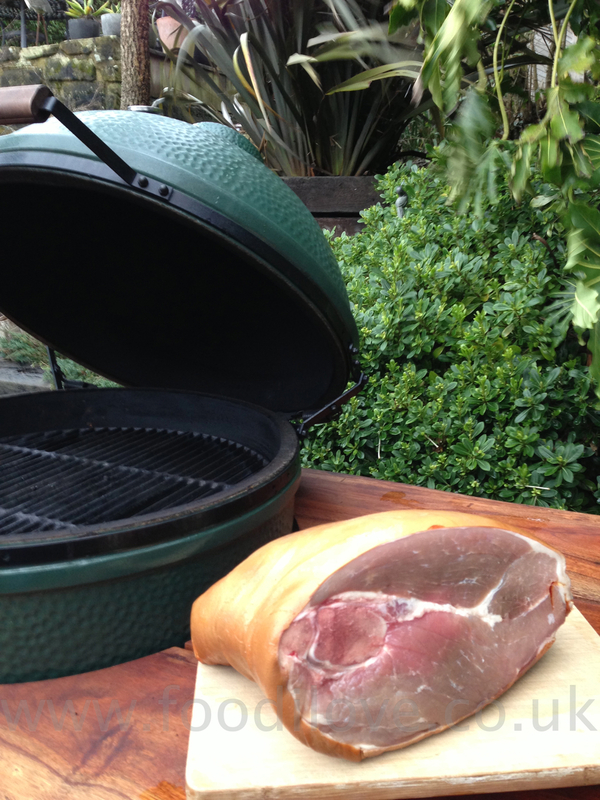 Next add the wood chipping to the braai, place the ham in the middle of the BigGreenEgg and close the lid. 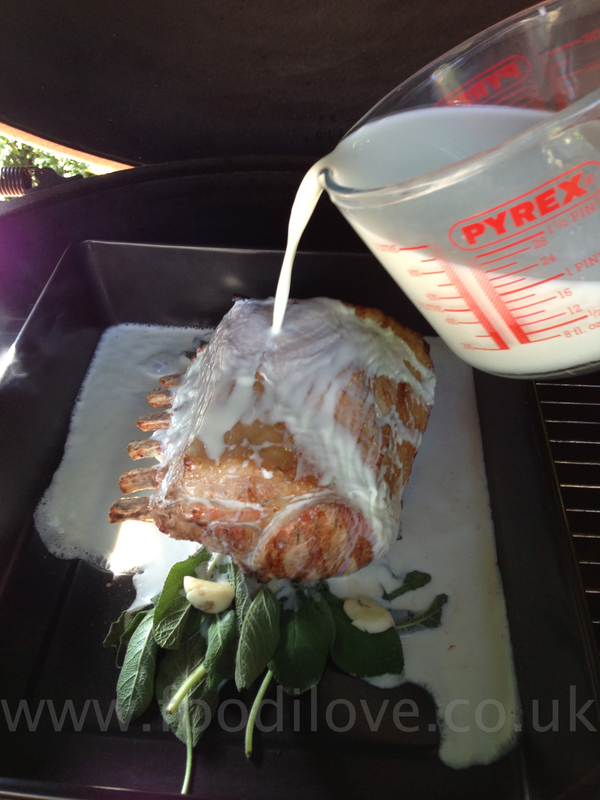 Do not open for at least an hour and the baste every 15 mins with the mixture. Once its been smoking for 2 hrs take the ham out of the braai and place on a board and cover so that it can relax for 30mins at least before you carve. All that is need now is to carve the ham and serve with either freshly baked bread (see last weeks blog) or with mashed potatoes, sauerkraut and some English mustard. Mmmm it tasted as great as it looks. Please leave any feed back below, this really helps me work out what to do, many thanks. Larry. Sosaties (skewered meat) marinated in a curry sauce – traditionally formed part of the rijsttafel of java, an elaborate banquet which always included at least two meat dishes, one fish course and a curry dish, as well as several vegetables, served on cooked rice and mixed with a strong curry sauce. Today we tend to cook sosaties over the coals, and any braai cook worth his or her salt has a 'secret recipe 'for the marinade. Traditionally its made with lamb but you can use any meat that you prefer and I'm going to use chicken today. I will give you my recipe and this is the same recipe that we use in the Sosaties that we sell in out shop. So if you don’t want to make this yourself you can just click here and you can add them to your shopping basket on our website www.biltong.co.uk . 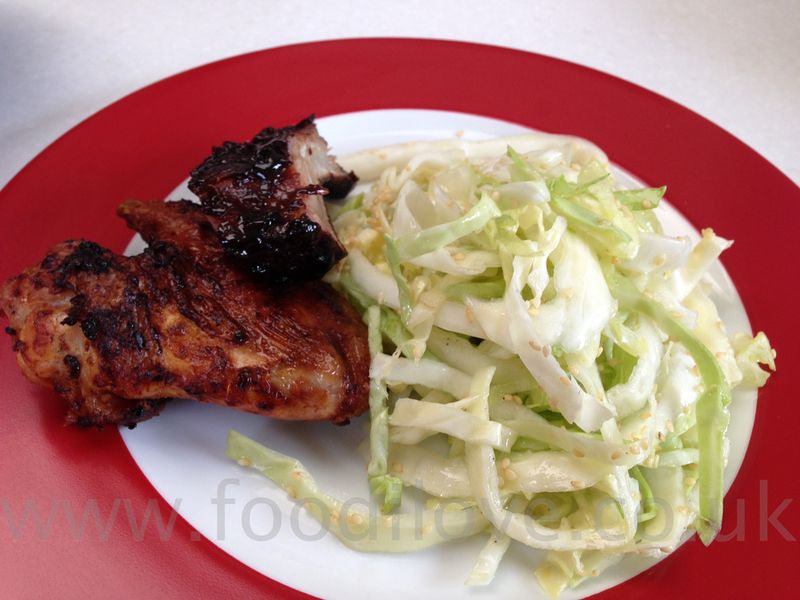 You can also buy the ingredients for this recipe from us if you want to make this yourself. 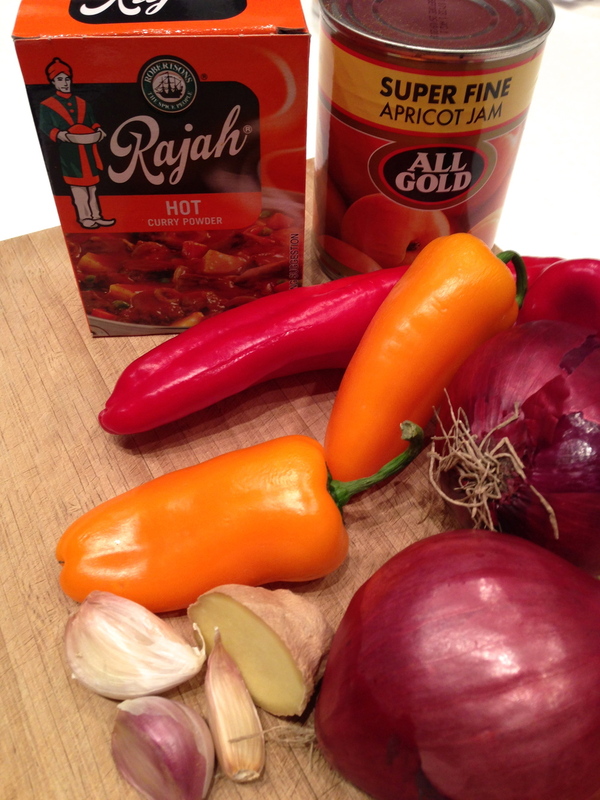 Combine all the ingredients for the marinade in a bowl and use a blender to make into a paste. Add the mixture to a saucepan and bring to the boil and boil for 1 minutes, stirring occasionally, leave to cool. Transfer the marinade to a large dish and add the chicken, peppers and onion and marinate for at least 1 hour (or overnight preferably) in the fridge, turning 2-3 times. 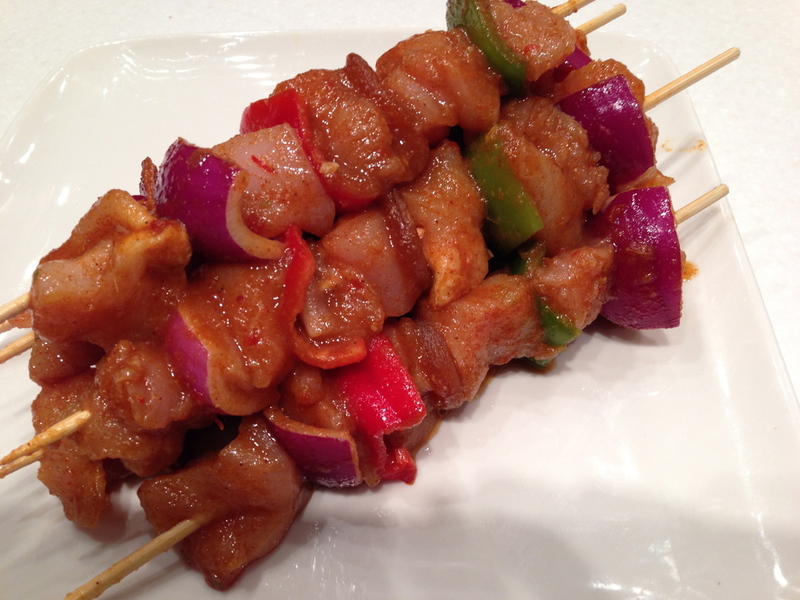 Remove the meat from the marinade and thread it onto skewers alternating with the peppers, apricots and onion. Pre soak your skewers for at least an hour before hand, unlike myself who forgot ;-) this will stop them from burning. Braai the sosaties over moderate/hot coals, or grill in the oven, turning frequently, for 10-15 minutes, or until cooked. On the BigGreenEgg believe it or not you only need to cook them for 2 mins on each side. The heat is so intense that it cooks then quickly but leaves them so moist and tender. 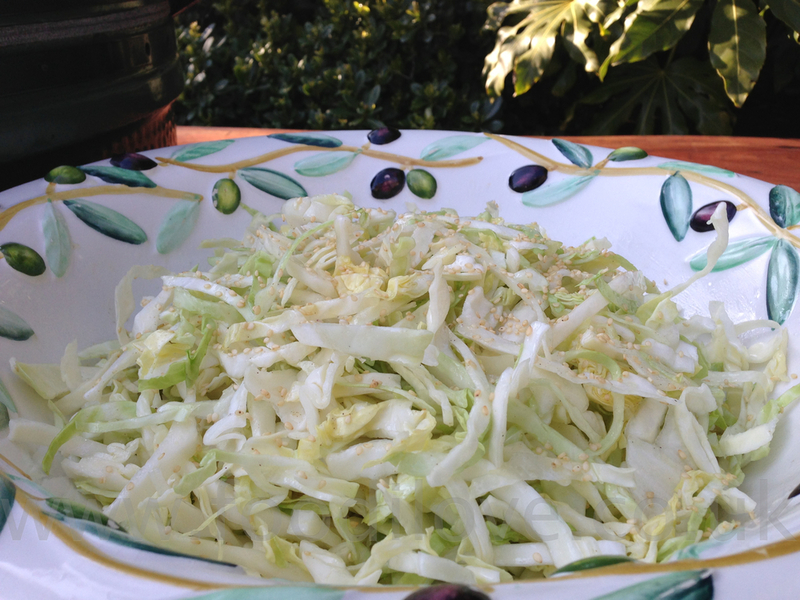 Serve with some Tastic rice and a fresh salad and there it is, a fantastic taste of home. 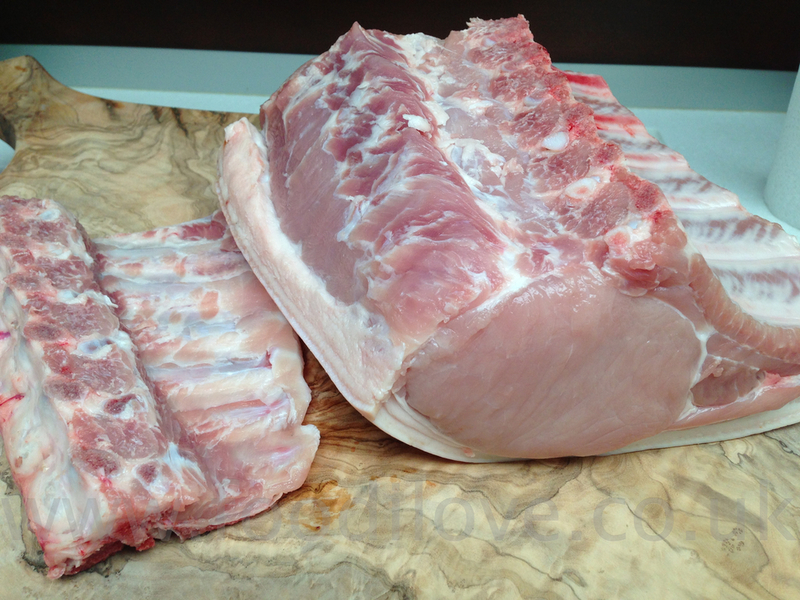 Give them a try chicken, lamb, beef or pork they all work really well with this recipe. Enjoy until next week weather permitting, SNOW on the way!!! !